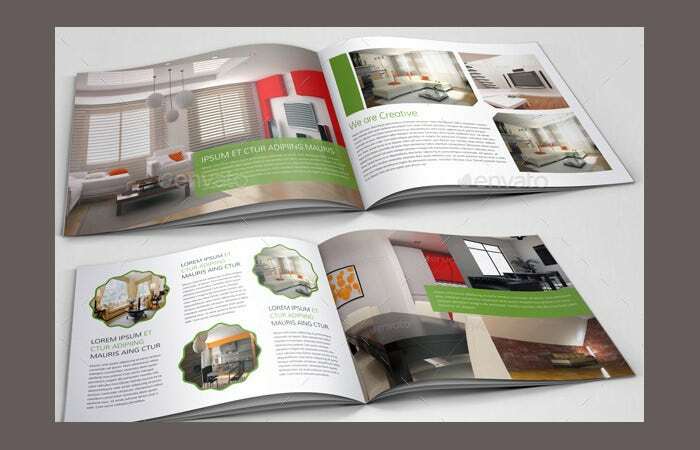 After saving sufficient money, when a person wants to build his/her own house, there comes the need of interior design brochures to study the various modern interior designs available and decide which one is best for the house. 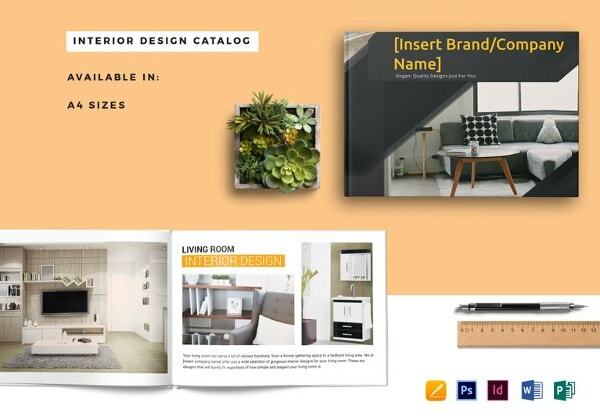 Interior design brochure templates present different stylish interior design that makes a house or office interior look impressive and beautiful. 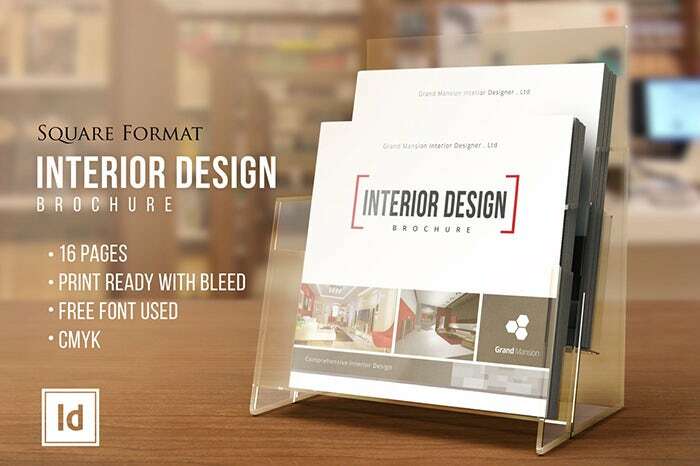 Interior brochure templates are of different types and come in various page sizes and they are easily available. 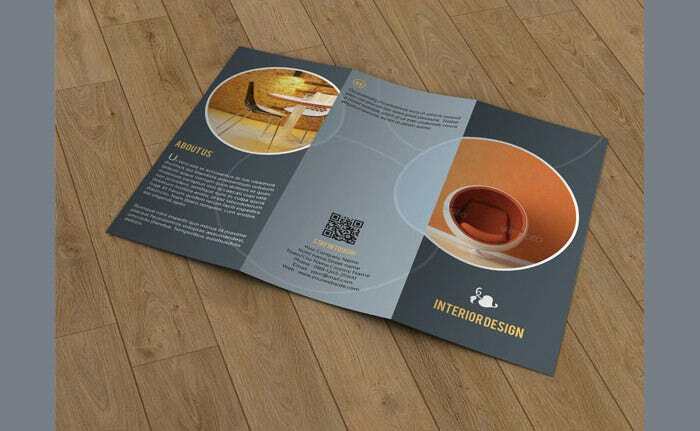 You can see Interior Design Template. 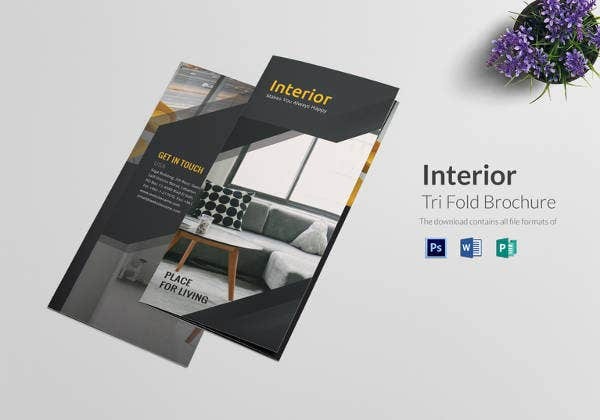 Buy Now The interior design tri-fold brochure template comes with CMYK coloring and in PSD file format. 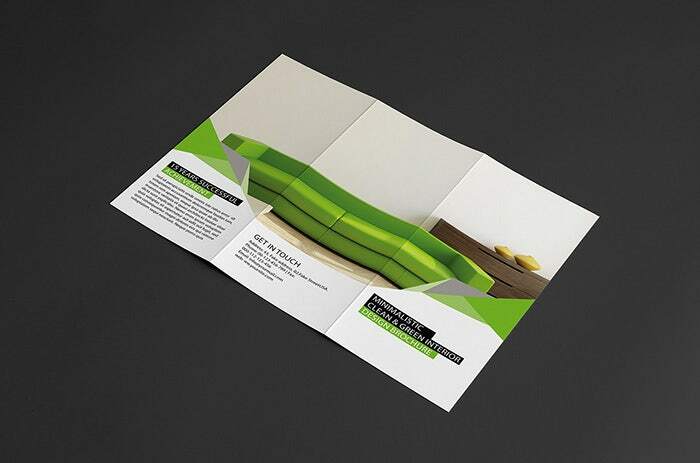 It has a resolution of 300 DPI and is easily customizable and printable. 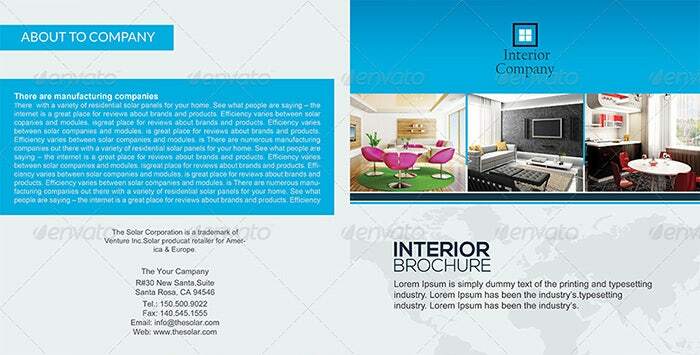 This interior brochure template contains layered files that are text editable. 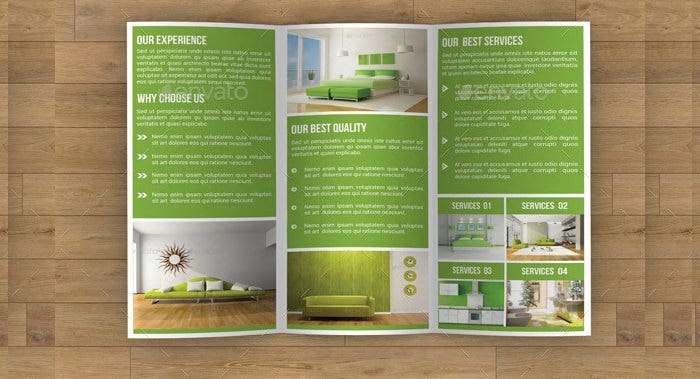 Buy Now The tri-fold interior brochure template comes in soothing light green colors with white border edges. It is very eye catching and impressive to look at. It comes with CMYK coloring. 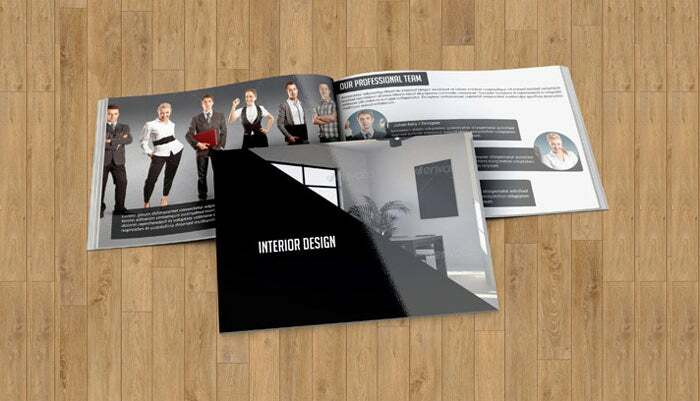 Buy Now This amazing looking Bi-fold Brochure template comes with A4 sized pages with CMYK coloring. It has layered file feature and a resolution of 300 DPI. 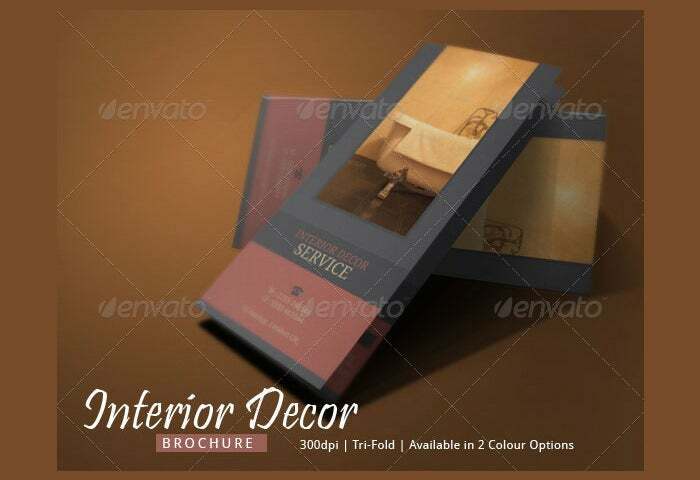 It comes in PSD file format. 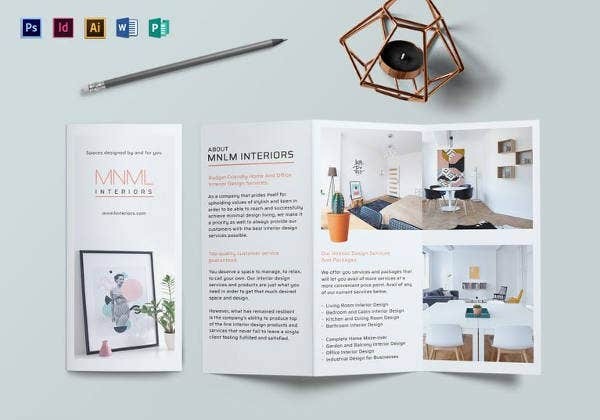 This interior brochure template is basically designed for interior designers to help them with choosing the best interior design for a house or an office. 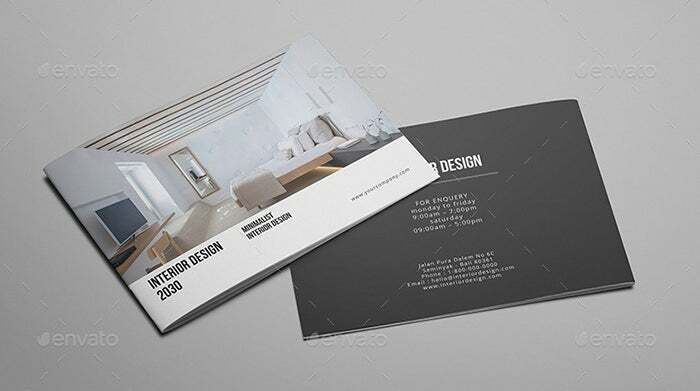 It comes in PSD file format. 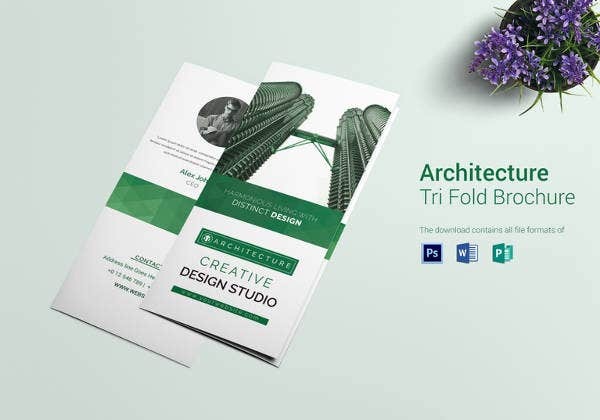 The tri-fold interior brochure template comes in soothing light green colors with white border edges. It is very eye catching and impressive to look at. It comes with CMYK coloring. 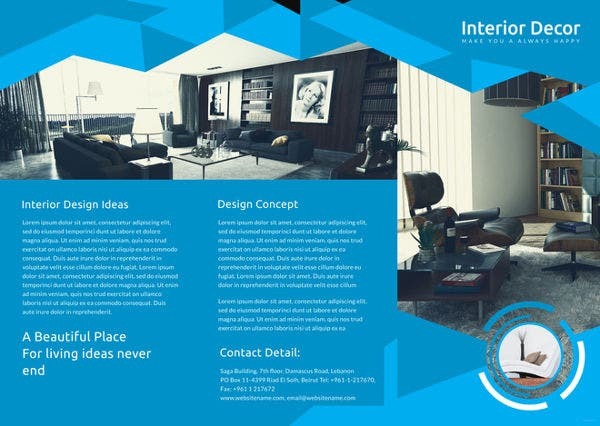 This bi-fold interior design brochure template is a square shaped blue and white colored template. 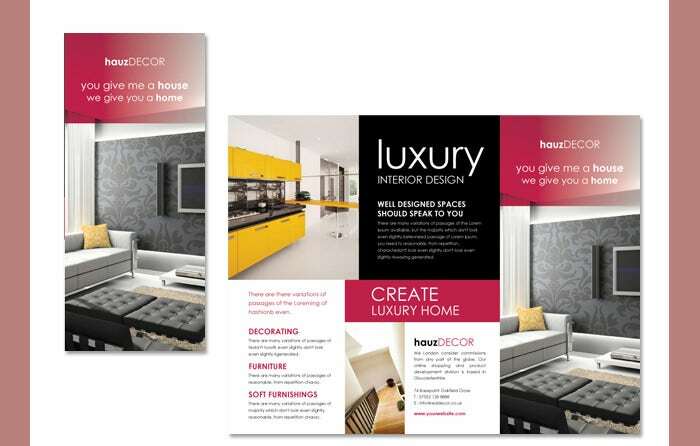 It is often used by interior design companies. It has four page side panels with properly arranged text. 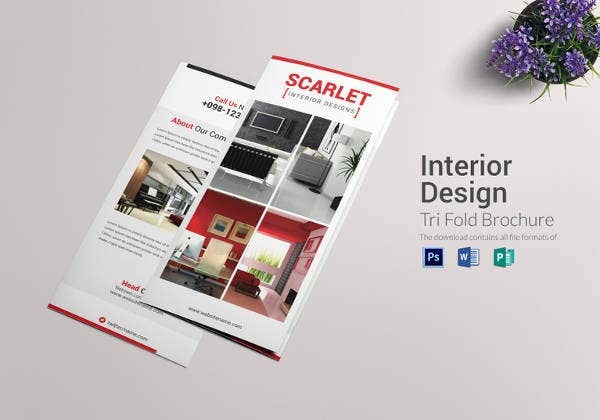 The interior design firm tri-fold brochure template has an excellent look with firmly arranged text on the six page side panels that it displays. 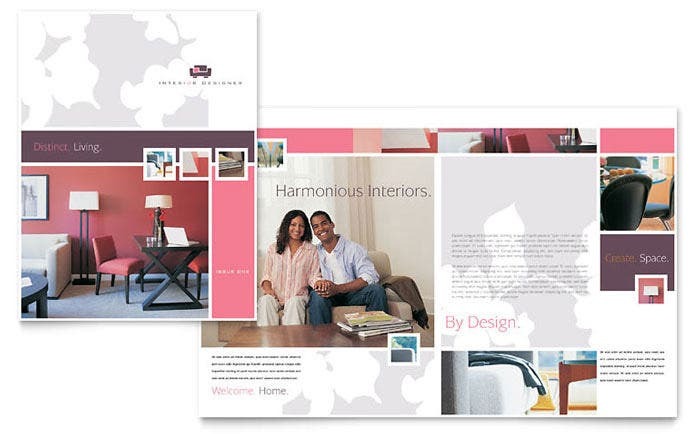 It comes in PSD file format with CMYK coloring. 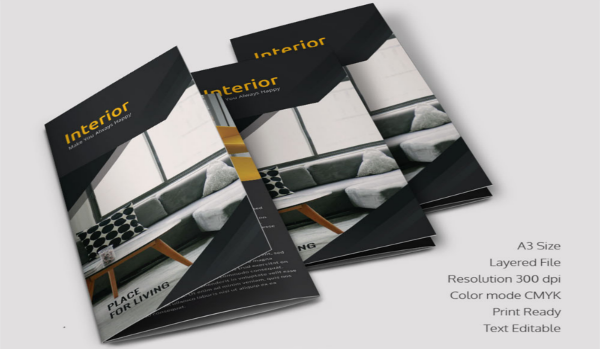 The interior decor brochure template has a professional look and feel. It comes in dark CMYK colors. 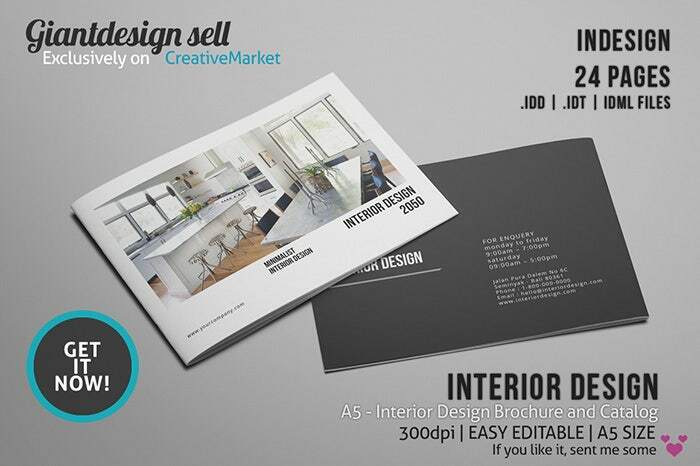 It has a resolution of 300 DPI and comes with two color option availabilities. 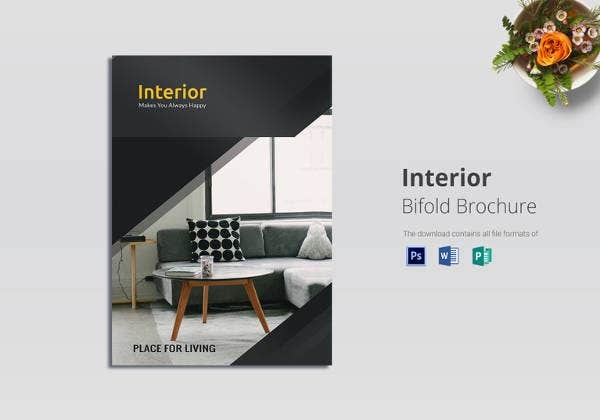 Searching and studying interior brochure template serves as a good experience for interior designers to know more about the world of designs. 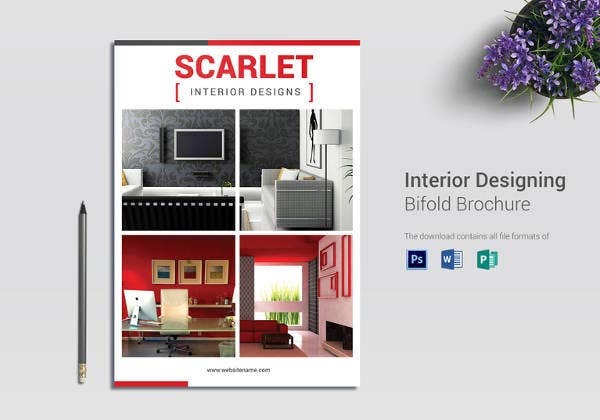 Interior design brochure templates allow people to know about the trendy interior designs that come out of the minds of interior designers.